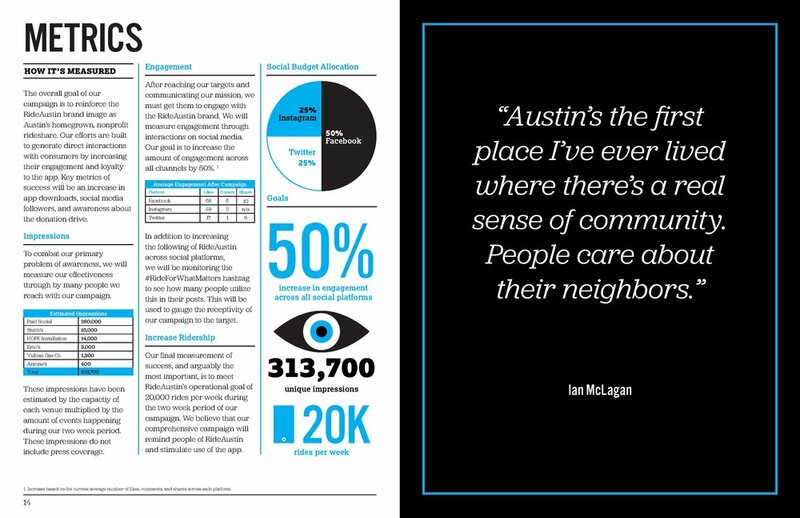 As our capstone project, we developed a campaign strategy, pitched it to RideAustin, and produced it. Problem: There is a lack of awareness about the local rideshare company, and those who know it percieve it to be "slow and expensive". 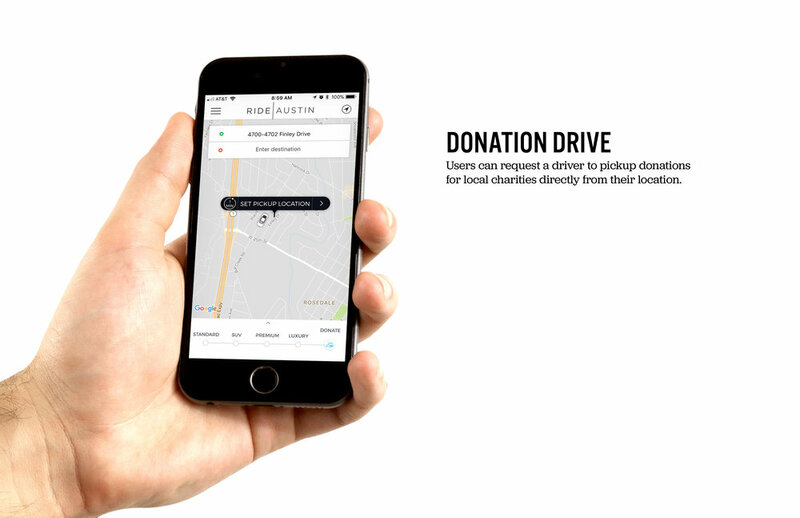 Solution: Launch a campaign leveraging RideAustin's non-profit status by showcasing their impact on the immediate community. 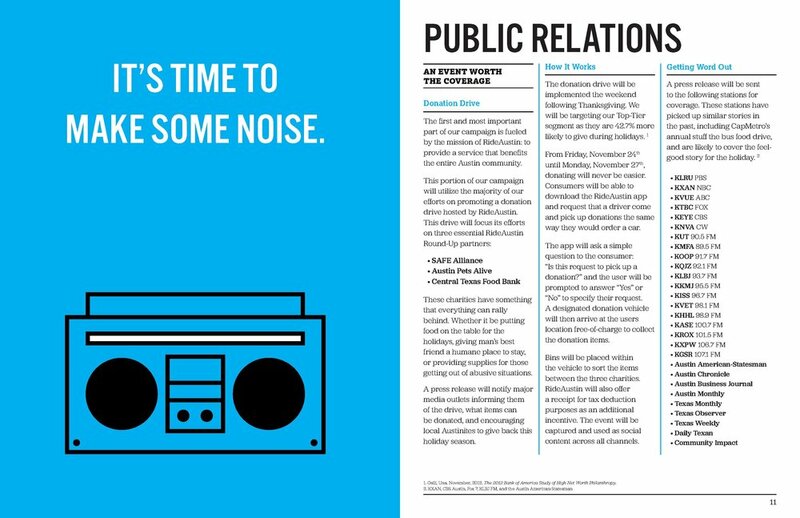 In addition to the donation drive, we also secured poster donations featuring hyper-local headlines to be placed throughout the city. 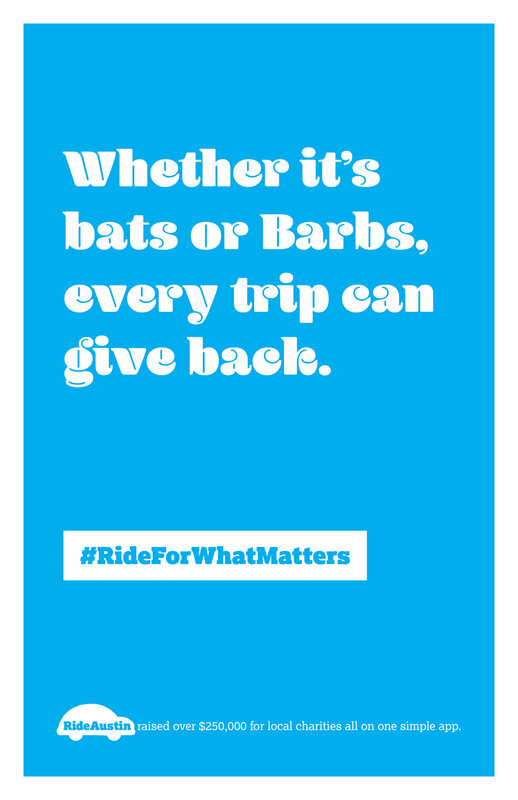 We created the above content pieces to further support RideAustin's mission to give back with every ride. We designed custom stickers for RideAustin to pass out at events. Complete campaign book that was given to the client.